We were asked to create a new look for cycling helmets in the mass-market stores like Walmart, Target, etc. Our small team crafted many designs with the goal of creating a package that had maximum helmet visibility but would not compromise strength. 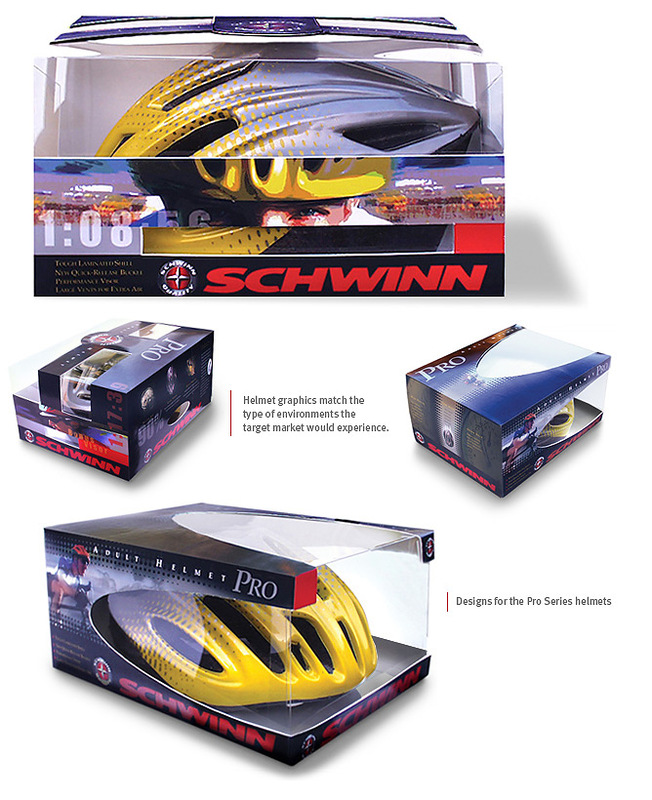 We also did helmet packaging designs for their associated brands GT and Mongoose. Oh, one more thing- always wear helmet!